What are the Best Brands of CBD Gummies to Buy Online? CBD Gummies have been popular with consumers since recreational marijuana started becoming a thing and people made their way into dispensaries. I, for one, love taking my CBD in gummy form and today I'm going to provide a round up of the best CBD gummies of 2019. I don't know if it's the nostalgic feeling that returns to me of being a child, entering into an old school candy store, often in a small town like where my Grandparents lived, sifting through a Ben Franklin store to find gummy bears, candy buttons, Pez dispensers, and other candies, or the sheer fact that it's so easy to consume an edible in gummy form, but something about these products just make me gravitate towards these for my cannabis intake. Let's be honest, sometimes our surroundings don't allow us to use vape pens, and popping a quick gummy can be a nice way to get around that. I understand that not all of us have access to dispensaries that sell recreational marijuana products, so I'm going to preview the brands you can get right in the mail! I've gone through most of the CBD edible brands in the last two years, and there are some that simply put - taste better, are healthier, and provide the results I look for. You'll find that my picks for the top CBD gummies of 2019 may vary from other websites you read, and that's okay. Everyone has different preferences, but I do find that my advanced knowledge of the industry has set me apart from the average Joe who just got into marijuana reviews. ​They come in 300mg (10mg per gummy) or 750mg (25mg per gummy) options. We have found that the 750mg pack really packs a punch when it comes to anxiety, stress relief and getting a good nights sleep. ​cbdMD Gummies are 100% organic, USA-grown/processed, non-GMO, and gluten-free, and vegan. All their products are 3rd-party lab verified to ensure quality. ​cbdMD is one of the highest quality and most trustworthy brands on the market right now. We highly recommend giving them a go. What Exactly are CBD Gummies? What Can CBD Gummies Help With? You've heard of CBD oils, they are all the rage and people won't stop talking about them and their numerous benefits. Like oils, these gummies are loaded with all the same qualities you'll find in oils. Many of them are 100% natural and don't contain THC, which is the psychoactive component. When you order from the brands I mention below, you should be able to get the products delivered to you no matter which of the 50 States you reside in. Made from pure Hemp Oil, CBD gummies contain the cannabis compounds you want like CBN, CBG, and CBD along with vitamins D3, D, and B12. Many people don't know this, but hemp is legal. In fact, the U.S. Farm Bill that was passed in 2018 made this legal. More importantly, CBD from hemp is different than CBD from Cannabis. This is why it doesn't have THC and also features much less cannabinoids. Hemp gets a black eye because people immediately think of marijuana, but hemp is entirely different. (Read: Safe.) It was a farce that it was outlawed for so many years. When you look for the best CBD gummy brands, you'll want to ensure that they have a transparent extraction method. I suggest you buy CBD gummies from brands who use CO2 extraction. This technique is very expensive and there aren't many brands out there who have warmed up to the process, which allows them to compress high amounts of CBD from raw hemp flowers into a product that not only works, but is safe for you. Some brands have gone as far as investing in nanotechnology to process raw material and get rid of any impurities prior to injecting the important components of the hemp into the gummies and other edible products. Of course, being free of THC and heavy metals, as well as other unnatural ingredients is highly important, so to further test their products they are sent to laboratories to ensure top quality. When you buy gummies online, (see our picks below) use this guide to help you find a brand you can be comfortable with. Of course, I steer you in the right direction based on my own due diligence, but here are some things to look for as you get your search underway. To end any confusion out there, CBD gummies are considered edibles. Whenever you consume a product by eating it, it's an edible. Edibles are growing very rapidly thanks in part to recreational marijuana and the fact that smoking flower is simply difficult in some situations and jurisdictions. And let's be honest, some of us have a sweet tooth and appreciate a good treat! Some people also argue that in their experience, consuming an edible product makes the effects hit a bit quicker. I tend to think the opposite and feel a slower release that hits me over a sustained period of time, unlike flower, which goes right to my head and lasts a shorter amount of time. When you read about miracles happening in regards to these products, know that there are many uninformed sources out there simply spreading bull crap because they are trying to sell you product. While you won't find a bigger advocate of marijuana and hemp for medical conditions than me and the rest of the team here, it's important to have your expectations in check. You can expect assistance with pain, anxiety, and stress. You can click the links inserted below to read more about each one as they are covered in great detail throughout the site. 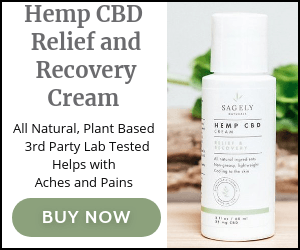 Inflammation is another word you hear associated a lot with CBD, and many people use these products to treat just that. Outside of the reasons discussed above, CBD helps the body deal with feelings of discomfort and pain, as well as being an antioxidant, neuroprotectant, and anti-psychotic compound. In short, many people enjoy it because it simply "makes them feel better." If you read all of the above facts and data, I applaud you. You now know 99% more than most everyone on the planet when it comes to the gummy market! You did the hard work, know what to look for, and deserve my ultimate list of brands. Well, here it is, along with notes. Enjoy it! You can't go wrong with any of the top five CBD gummy brands, to be honest. I had to cut the list off at five because there are a lot of of pretenders, and I like to only recommend brands that I've personally sampled and ordered from. I had to weed out a few brands that had quality products but awful customer service.